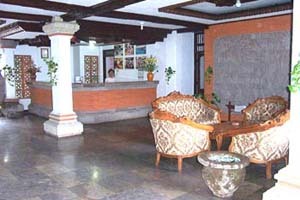 This hotel is located in estern of Bali. 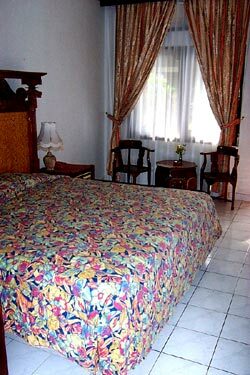 1.30 hours from Denpasar Airport,. 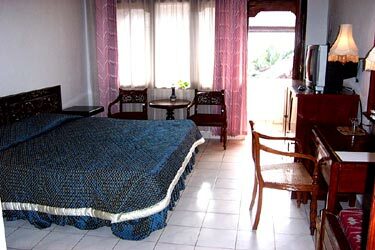 on the Amlapura - Denpasar road, in the early 1980's there were only a few simple small guesthouses a long a white sand beach on either side of lagoon. people came for the snorkeling and diving around the coral reef and the islands of Juntting rocks just off the coast. then came the visitors to this romantic area, generically referred to as Candi Dasa, It was transformed within a few years into a noisy tourist mecca, while the beach eroded at an equal pace. Still, this is presently the best serviced area for visitors to stay in east Bali, and there is a great deal to explore nearby: Pura Candi Dasa: this temple is used to dedicated to Shiva and Hariti, Tenganan Village: the most rigorously aloof and exclusive of all the archaic cult societies refered to as Bali Aga Village, Amlapura Palace: the seat of the ruling branch of the dynasty since around the beginning of the 18th century, Tirta Gangga: this is water palace was built in 1948 by the last raja of Karangasem, in a series of formal pools fed by a sacred spring, and also many interesting palace for visited from this village like Besakih the mother temple, Padangbai harbour Ferry service to Lombok Island, Kusamba fishing village, Goa Lawah bats cave, etc. 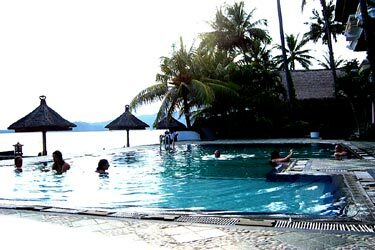 The Candidasa Beach Hotel is equipped with 80 guest rooms 5 Ocean Front Suites, 4 bungalows, and 70 Superior rooms. 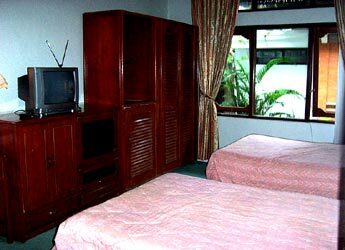 All rooms come fully furnished with private terrace. MEETING ROOM FOR PRIVATE PARTIES OR CONFERENCE. please check our special offer if the booking via Internet. Charge : quoted in US Dollars. Rates are subject to change without prior notice. Half day use 50% charged. Maximum until 7 pm. Check-out 12:00 noon. Extended check-out by special arrangement.